The Netherlands and Nepal both beat Marylebone Cricket Club, while the match pitting them against one another ended in a no-result. 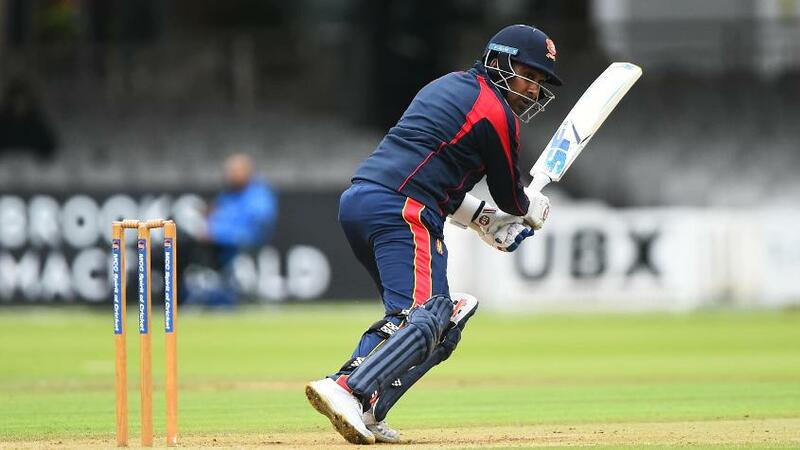 The Netherlands batsmen made the most of their chance to shine at Lord’s, the likes of Tobias Visee, Wesley Barresi, Michael Rippon, Ryan ten Doeschate and Scott Edwards getting among the runs even as the day-long Twenty20 fest suffered because of bad weather. The day started with the Netherlands facing off against MCC in a six-overs-a-side affair, and Visee’s 58* in 23 balls – with four fours and five sixes – helped them get to 72/3. With Varun Chopra and Jonathan Trott hitting 27* in 17 and 21 in 11 respectively, the MCC were in with a shout but finished at 62/2. From one shortened game to another, one more six-overs-a-side game, and this one also saw MCC end on the losing side. They batted first after being inserted by Paras Khadka, but Mahela Jayawardene’s 24* in 16 balls at the top of the order was the only innings of substance as medium pacer Sompal Kami (2/8) and left-arm spinner Shakti Gauchan (1/6) did well. MCC put up just 40/4, and it took Nepal just 4.4 overs to overhaul it, Subash Khakurel keeping things steady at the top with a 15-ball 16* and Gyanendra Malla coming in and smashing a four and a six in a four-ball 12*. In the only ‘international’ fixture on the day, the Netherlands – ranked 14th in the world – and Nepal faced off, but in what was shaping up to be an engrossing, high-scoring encounter, rain had the final say again. It was an 18-overs-a-side game, and Khadka won the toss and opted to field again. But Barresi’s 24-ball 44 and good hands from ten Doeschate (38), Rippon (38*) and Edwards (34*) had the Netherlands cruising at 174/4 in 16.4 overs before the game was abandoned. Each of the Nepal bowlers with the exception of Lalit Rajbanshi, the left-arm spinner, conceded runs at over 10 an over, and it would have been an interesting chase had Khadka & Co got their teeth into it. Unfortunately, it wasn’t to be.